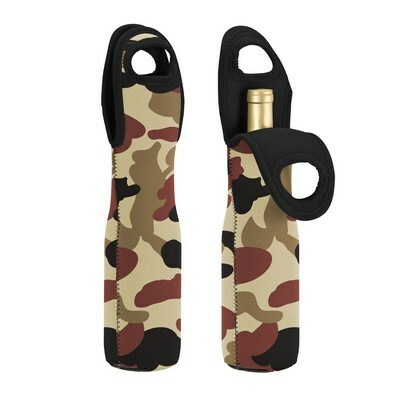 The Neoprene Camo Wine Tote fits one wine bottle and protects the bottle from spills, bumps, and drops. 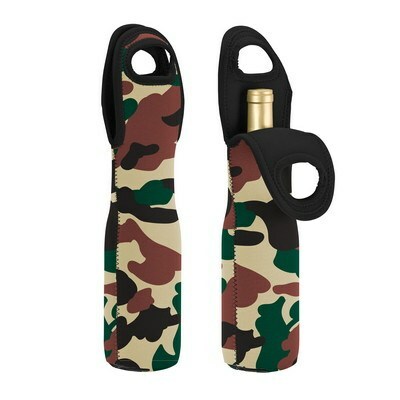 The Neoprene Camo Wine Tote combines minimalism, efficiency, and insulation to make way for a cost effective promotional item. Imprint your brand’s logo on this tote, to increase brand visibility. The tote is made from durable neoprene material that protects the bottle from spills, bumps, and drops. The convenient handles make it easy to carry the tote. It easily fits one 750ml wine bottle, making sure that you bring along happiness wherever you go. Give away the wine tote at trade fairs, carnivals, and picnic spots to effectively advertise your brand.